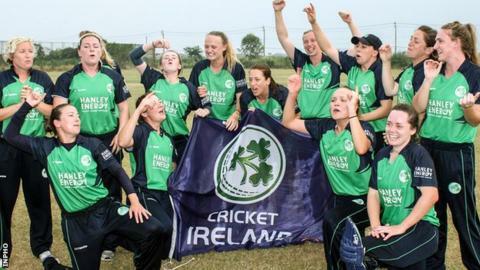 Ireland and Scotland must secure a top-four place in February's 10-team Women's World Cup Qualifier to make next summer's tournament in England. The qualifiers in Colombo, Sri Lanka, will have two groups of five with the top three from each going through to the Super Six stage. Ireland are in Group A with India, Sri Lanka, Zimbabwe and Thailand. The Scots will take on South Africa, Pakistan, Bangladesh and Papua New Guinea in Group B. Each side will play four matches in the first round of the Qualifier, with the top three sides carrying forward points they earn against teams which have also progressed to the Super Six stage from their group. Then, in the Super Six stage, each side will play the three teams which have qualified from the other group. The top four teams from the Super Six will join defending champions Australia, hosts England, former winners New Zealand and reigning ICC World Twenty20 champions West Indies in the World Cup, which takes place from 26 June to 23 July.